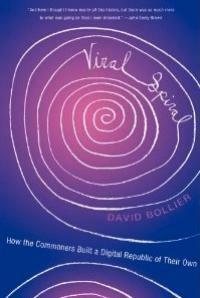 "Governing the Digital Commons," Berkman Center for Internet and Society, Harvard University [video], May 11, 2009. 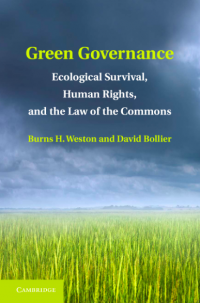 Examines how commoners assert differing notions of freedom, community boundaries, social norms and reliance on law to protect the integrity of their shared resources. "The Commons as a New Sector of Value-Creation," plenary remarks at "Economies of the Commons: Strategies for Sustainable Access and Creative Reuse of Images and Sounds Online," De Balie Centre for Culture and Politics, Amsterdam, The Netherlands, April 12, 2008.
iCommons Summit 2008, Sapporo, Japan. Keynote remarks, "The Commoners as an Emerging Political Force," July 31, 2008. Slides that accompanied this talk can be seen here. De Balie Centre for Culture and Politics conference, "Economies of the Commons: Strategies for Sustainable Access and Creative Reuse of Images and Sounds Online," April 10-12, 2008. Plenary remarks: "The Commons as a New Sector of Value-Creation." University of Wisconsin, Milwaukee conference, "From Magna Carta to the Sky Trust: The Historical Arc of the Commons," Plenary remarks, "The New Commons of the Internet," December 7, 2007. Indiana University, Workshop on Political Theory and Policy Analysis presentation, "The Commons Rising: An Enthusiast's Tour of Some Innovative New Commons," October 29, 2007. Re-public [Greek online journal], "The Commons and Emergent Democracy," October 2007. Heinrich Boll Foundation conference, "Citizenship and Commons," Mexico City, December 8, 2006, Plenary speech, "On the Political Value of Talking About the Commons." Canadian Association of University Teachers conference, "Controlling Intellectual Property: The Academic Community and the Future of Knowledge," Ottawa, Canada, October 29, 2006, "The Perils of Property Speak in Academia." McGill University, Montreal, Quebec, Canada, conference on "Biotechnology and Intellectual Property: Reinventing the Commons," September 25, 2005. Presentation, "Leveraging Scientific Commons to Foster Innovation, Access and Affordability. Upgrade magazine: "The Rediscovery of the Commons," 2003. French translation, by Olivier Berger. Action Speaks! Rhode Island Council for the Humanities and AS20: "The Fair Use Doctrine Incorporated into Copyright Law (Whose Idea is That, Anyway?" October 23, 2005. Canadian Library Association, annual convention, Calgary, Canada, June 17, 2005. Plenary speech: "Librarians as Stewards of the Commons." American Meteorological Society, Summer Policy Colloquium, Washington, D.C., June 13, 2005. Workshop lecture: "Commons and Enclosure." Smithsonian Institution, "UNESCO and Cultural Policymaking: Imperatives for U.S. Arts and Culture Practitioners and Organizations, Plenary speech, "Globalization, Cultural Diversity and the Commons," January 11, 2005. Georgetown University, "Research, Funding and the Public Good," November 16, 2004. Keynote speech, "Defending the Scholarly Commons." Wizards of OS3: "The Future of the Digital Commons," Berlin, Germany, June 12, 2004. Plenary speech: "Is the Commons a Movement?" Audio version of speech. French translation of remarks, by Hellekin O. Wolf. Oxford University Department of Politics & Centre for the Study of Democratic Government, "The New Politics of Ownership," June 4, 2004. Workshop paper: "Using Stakeholder Trusts to Protect Common Assets." Science and Environmental Health Network, "The Commons, the Public Trust and the Precautionary Principle, Wingspread Conference Center, Racine, Wisconsin, May 13-16, 2004. 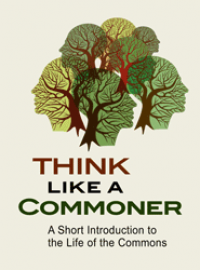 "An Introduction to the Commons." Simon Fraser University, University of Victoria, and The Innovation and Science Council of British Columbia, Conscience and Science Forum, Vancouver, British Columbia, April 29, 2004. Plenary speech: "The Clash Between Markets and Commons - and How It Affects Science, Economic Performance and Democracy." SuperConference 2004 [librarians], St. Louis, Missouri, April 18, 2004. Plenary speech: " Reclaiming the American Commons." Social Science Research Council, Intellectual Property, Markets and Cultural Flows, New York City, October 24-25, 2003. Workshop presentation: "Intellectual Property & Creativity in Fashion." Fortune magazine/Aspen Institute, Brainstorm 2003, Aspen, Colorado, August 2003. Panel: "The Commons." American Association of Law Libraries, annual convention, Seattle, Washington, July 15, 2003. Panel presentation: "The Information Commons." American Association of University Professors, annual convention, Washington, D.C., June 13, 2003. Keynote speech, "Preserving the Academic Commons." International Federation of Library Associations strategy workshop, Amsterdam, The Netherlands, March 11-12, 2003. Workshop presentation: "The Commons, Libraries and Culture." Rockefeller Foundation, Collective Management of Intellectual Property, Bellagio, Italy, November 21-24, 2002. Workshop presentation: "The Commons as an Emerging Model for Knowledge Creation and Governance." Georgetown University, Open Source Summit, Washington, D.C. October 18, 2002, Workshop paper: "Why Open Source Software Is Fundamental to a Robust Democratic Culture." American Library Association, annual convention, Atlanta, Georgia, June 15, 2002. "Saving the Information Commons." American Library Association, Wye Woods, Queenstown, Maryland, November 2-4, 2001. Workshop paper: "The Information Commons." USC Annenberg School for Communication, Norman Lear Center, Artists, Technology and the Ownership of Creative Content, Los Angeles, March 31, 2001. Keynote speech, "The Future of Creative Control in the Digital Age." Renewal (U.K.) article, "A New Politics of the Commons," December 22, 2007. Re-public [Greek online journal], article, "The Commons and Emergent Democracy," October 2007. American Law Library Journal, "Why We Must Talk About the Information Commons," Spring 2004. In These Times, "Who Owns the Sky?" March 29, 2004. 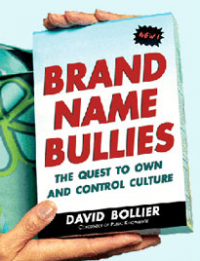 Christian Science Monitor, "Control of Creativity? Fashion's Secret," September 9, 2003. Upgrade magazine (Europe), "The Rediscovery of the Commons," June 2003. CPR Digest [common-pool resources], "The Missing Vocabulary of the Digital Age," June 2003. Knowledge Quest, "Saving the Information Commons," March/April 2003. Academe, magazine, "Enclosing the Academic Commons," September/October 2002. Boston Review, "Reclaiming the Commons" Summer 2002. Multinational Monitor, "Commons Sense," July/August 2002. Yes! magazine, "The Cornucopia of the Commons," Summer 2001. Why the Public Domain Matters: The Endangered Wellspring of Creativity, Commerce and Democracy. This report for the New America Foundation and Public Knowledge, released in May 2002, gives an overview of the many threats that copyright law, contract law, technological locks and public policy pose to a robust public domain. Saving the Information Commons: A New Public Interest Agenda in Digital Media. [pdf file] This report -- produced for the New America Foundation and Public Knowledge and released in May 2002 -- describes the "information commons" as a new paradigm for organizing a public-interest agenda in digital media. Numerous creative initiatives and policy proposals are showcased. Artists, Technology and the Ownership of Creative Content (Los Angeles, California: Norman Lear Center, USC Annenberg School for Communication, March 2001). The report summarizes and interprets a major conference at the Norman Lear Center, USC Annenberg School for Communication, on March 31, 2001, which brought together artists, copyright scholars, public policy leaders and industry representatives to explore how new technologies and copyright law are affecting creativity and the commercial control of creative products. Economics and the Commons Conference, Berlin Germany, May 22-24, 2013, convened by the Heinrich Boell Foundation, the Commons Strategies Group, Charles Leopold Mayer Foundation and Remix the Commons. Conference website here. International Commons Conference, Berlin, Germany, November 1-2, 2010, convened by the Heinrich Boell Foundaton and the Commons Strategies Group. Conference wiki here. Forum on Social Wealth, UMass, Amherst, six-part lecture series over the course of the 2005-2006 academic year, co-organized by Professors James Boyce and Nancy Folbre, and by David Bollier. Ready to Share: Fashion and the Ownership of Creativity, Annenberg School for Communication, Norman Lear Center, Los Angeles, California, January 29, 2005. Reclaiming the Commons, New America Foundation, March 12, 2001. One-day conference with nine panelists. "Common Land" entry in the International Encyclopedia of the Social Sciences, 2nd Edition. "The Growth of the Commons Paradigm," Chapter 2 (pp. 27-40) in Understanding Knowledge as a Commons: From Theory to Practice (MIT Press, 2007), edited by Charlotte Hess and Elinor Ostrom. 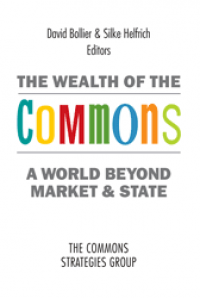 "The Commons: A Neglected Sector of Wealth-Creation," chapter in To Whom Does the World Belong? published by the Heinrich Boell Foundation, 2005. 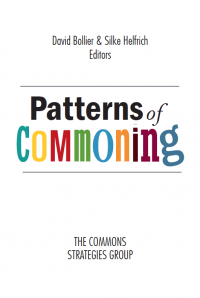 "A Renaissance of the Commons," [pdf file], written with John Clippinger, published in CODE: Collaboration, Ownership and the Digital Economy (MIT Press, 2005), edited by Rishab Aiyer Ghosh. "Stakeholding and Public Assets," The Citizen's Stake: Exploring the Future of Universal Asset Policies, edited by Will Paxton and Stuart White (Bristol, Great Britian: Policy Press, 2005). "Political Advocacy in the Networked Environment," essay, December 2006. Public Knowledge. This is a policy advocacy organization that I co-founded with Gigi Sohn, President of Public Knowledge, and Laurie Racine to represent the public's interest in pending Internet and intellectual property policymaking. Why the Public Domain Matters: The Endangered Wellspring of Creativity, Commerce and Democracy This report for the New America Foundation and Public Knowledge, released in May 2002, gives an overview of the many threats that copyright law, contract law, technological locks and public policy pose to a robust public domain. Saving the Information Commons: A New Public Interest Agenda in Digital Media [pdf file] This report -- produced for the New America Foundation and Public Knowledge and released in May 2002 -- describes the "information commons" as a new paradigm for organizing a public-interest agenda in digital media. Numerous creative initiatives and policy proposals are showcased. Artists, Technology and Ownership of Content. [pdf file] The report summarizes and interprets a major conference at the Norman Lear Center, USC Annenberg School for Communication, on March 31, 2001, which brought together artists, copyright scholars, public policy leaders and industry representatives to explore how new technologies and copyright law are affecting creativity and the commercial control of creative products. The Future of Creative Control in the Digital Age My keynote speech for the Symposium on Artists, Technology and the Ownership of Creative Content, USC Annenberg School for Communication, Los Angeles, March 31, 2001. Can the Information Commons Be Saved? A strategy memorandum for the Ford Foundation that surveys the new political culture being imposed by new intellectual property law and technologies. Reinventing Democratic Culture in an Age of Electronic Networks This November 1994 strategic analysis for the MacArthur Foundation sketches some of the key issues that the public-interest community should grapple with. Dated, but still relevant. Philanthropy in the Digital Age "Asserting the Public Interest in Digital Media: The Challenge for Philanthropies," a speech given at New York University Law School's conference, "The Future of Free Information in the Digital Environment," April 1, 2000. Postcards from the Digital Future: How New Technologies are Transforming the Fitness Landscape for Organizations -- and Why Creative Leadership Is Needed, American Theological Library Association, June 28, 1998.